Gaṅgā (best guess: Jagadīśacandra Miśra. Vārāṇasī : Sāhityakāra Sahayogī Prakāśana, 1986.) From the University of Chicago Library. 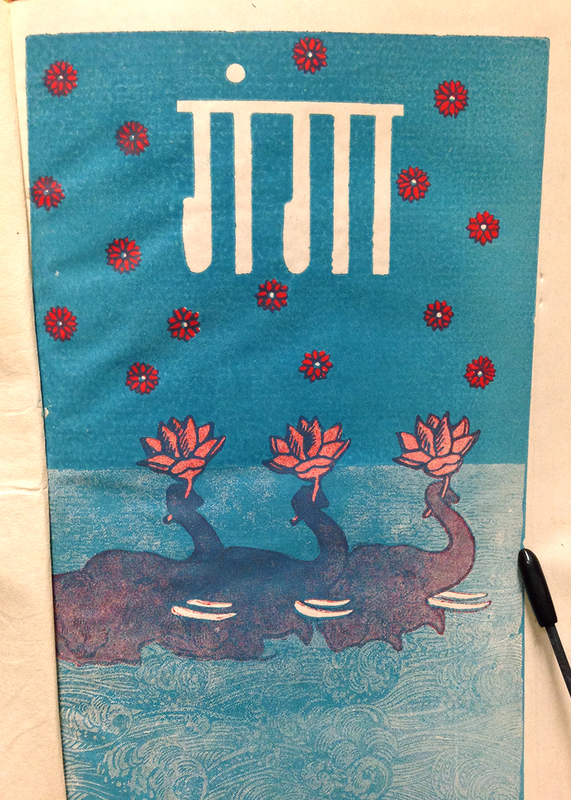 Lotus-holding elephants wade in the Ganges river on this title page. The very minimal, subtractive lettering is really interesting to me, in contrast to the vibrant red overprinted flowers and interesting overprinted ink mixing to make purple elephant flesh. Simple, but very cool.